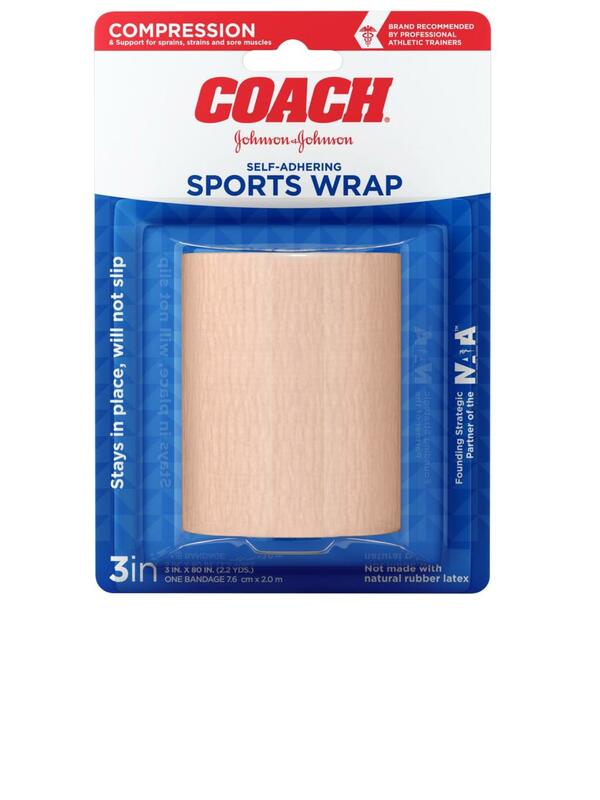 COACH® Consumer Self-Adhering Sports Wrap actively supports recovery from strains, sprains, and sore muscles by providing compression and stability to injured areas. This lightweight, breathable sports wrap features an interlocking system, so it stays securely in place without the use of clips or pins. From the brand recommended by professional athletic trainers, this 3-inch-by-2.2-yard bandage wrap is ideal for use on injured ankles, wrists, and elbows.